Should Mental Tests be Required for Politicians? Sheila Jackson Lee is a politician of the Democrat Party. She is currently the U.S. Representative for Texas’s 18th congressional district, serving since 1995. The district includes most of central Houston. There are no qualifications to be a politician and the degree of incompetence seems to be more of a disease in government over the past 20 years which is getting worse by the year. There are no words to even explain the type of statements coming from some of them. 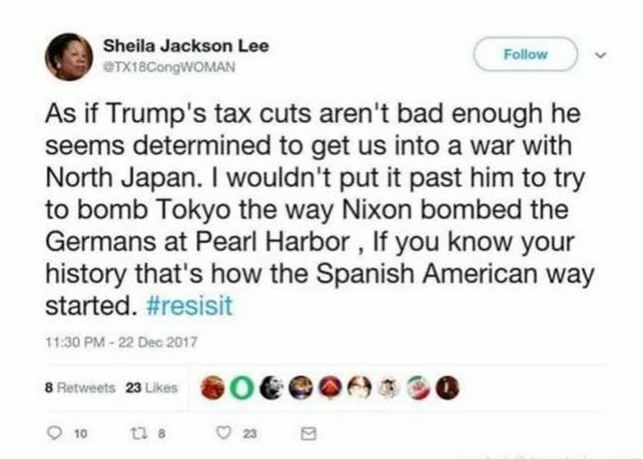 Lee allegedly confuses Japan with Korea and then said Nixon bombed the Germans at Pearl Harbor? This is getting completely insane. There are questions as to whether this is genuine or not and not a prank. But Jackson is known to have made some crazy tweets and statements many times. She has been named the meanest member of Congress among the Democrats. So the possibility that she would even say something nuts allows people to create fake tweets coming from her. Others just make completely erroneous statements. 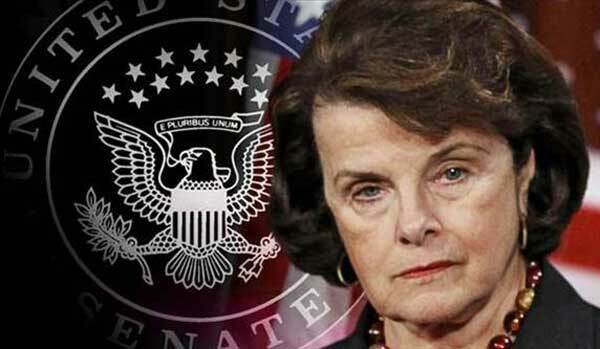 Diane Feinstein said that post-traumatic stress disorder, or PTSD, “is a new phenomenon as a product of the Iraq War” and therefore veterans perhaps should be tested to have a gun in any new legislation. Here is what she actually said without taking it out of context. In 2013, Nancy Pelosi told Fox News’ Chris Wallace that spending wasn’t a big deal, and it could be offset by raising taxes. But in explaining her belief, she said, “It’s almost a false argument to say we have a spending problem.” It is hard to fathom what is “Almost false” or that her view is we can raise taxes endlessly. Did she flunk math? Of course, we have a few doozies from Trump, Bush and plenty of Republicans as well. Perhaps it is time that we require a mental examination to hold public office. How about just some qualification? We require that for doctors or lawyers. Why not politicians? 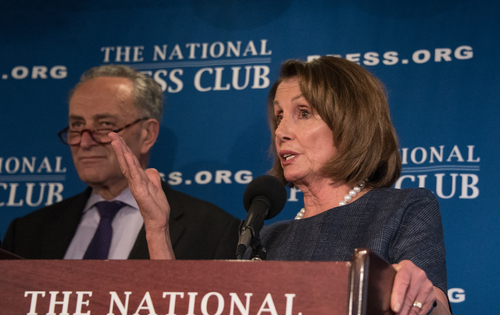 « The Future of the Democrats – A New Age of Socialism to Exploit Everyone Else?